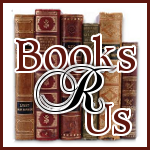 I want to welcom Jen Estes to Books R Us. Jen is the author of the cozy mystery Curveball and is touring the blogosphere with Partners in Crime Tours. Check out my review and giveaway of the book tomorrow. Thanks for stopping by. Curveball was inspired by the real-life exploitation of aspiring ballplayers in Latin America. I think everyone hits a wall once in awhile, no matter what your profession is or how much you love it. I first step away from the plate for a few days to give my brain time to rest. If that doesn’t do the trick, then I pull a 180 and force myself to write something, even if it's only 500 words a day. When that starts to come easy, I move it up to 1,000 and after that, 1,500 (which is my daily goal). My agent paired me with Camel Press for my first book and I haven't looked back. It's been a great match and I have a terrific editor. I've since signed for four more books in the same series. It took me about three months to get to a very rough draft of Curveball. After that, it spent another month with my editor and it was released approximately six months after the editing was complete. Paige Aiken, the spoiled coed to whom Cat is indentured, was a hoot to write. It was disturbingly easy to put myself in the designer heels of this shallow, bitchy princess… but I'm trying not to reflect on that. Right now I'm working on the third book in the Cat McDaniel Mystery series, where Cat will be returning to Buffalo as a beat reporter for the Soldiers. Just as she thinks her lineup is perfect, life throws her an offspeed pitch: a screwball clad in a leather jacket and biker boots. Her half brother/full leech shows up on her doorstep looking to shake up her world with his boozing and betting lifestyle. It's scheduled for a release date of April 2013. Write often. Ted Williams swung his bat every day, Michael Jordan didn’t stop shooting for the flu, and Tiger Woods has had a club in his hand since he was three. I can't say that 10,000 hours is the magic number to excellence, but there's no arguing that greatness comes with an exorbitant amount of practice. Writers gotta write. Oh, that would be a dream come true! If I got to drop in my two cents for the lead, I'd go with the actress/writer/producer Felicia Day. Not only does she look the part, she's a fantastic actress with an incredibly loyal fanbase. Obviously, I love baseball and my husband and I follow lots of sports. We like to visit cities with sports arenas and since we're beach bums living in the Midwest, we usually head for the coasts. When I'm home, my days are monopolized by my three cats - Wrigley, Ivy and Captain Moo. Curveball is available on BN.com and in Kindle and paperback on Amazon.com. You can check out more at www.jenestes.com and connect with me on Twitter @jenestesdotcom. I love to talk to readers! Thank you for sharing. Great interview, enjoyed this post. Thanks again for having me on your fantastic book blog! I love to read interviews like this about authors. We get to know about them and that builds a relationship then it makes us want to get the book. Thank you I will look into this book for sure.